AcuShiatsu is a specialized combination of acupuncture and massage that is performed by placing five thin, sterile, single-use needles at specific Chinese medicine related acupoints on the outer ear. The needles are generally left in place for approximetaly 20 minutes, during which time a practitioner provides shiatsu massage on the shoulders, neck, head and arms. The client is silent in mediation, prayer, self-support and/or reflection. 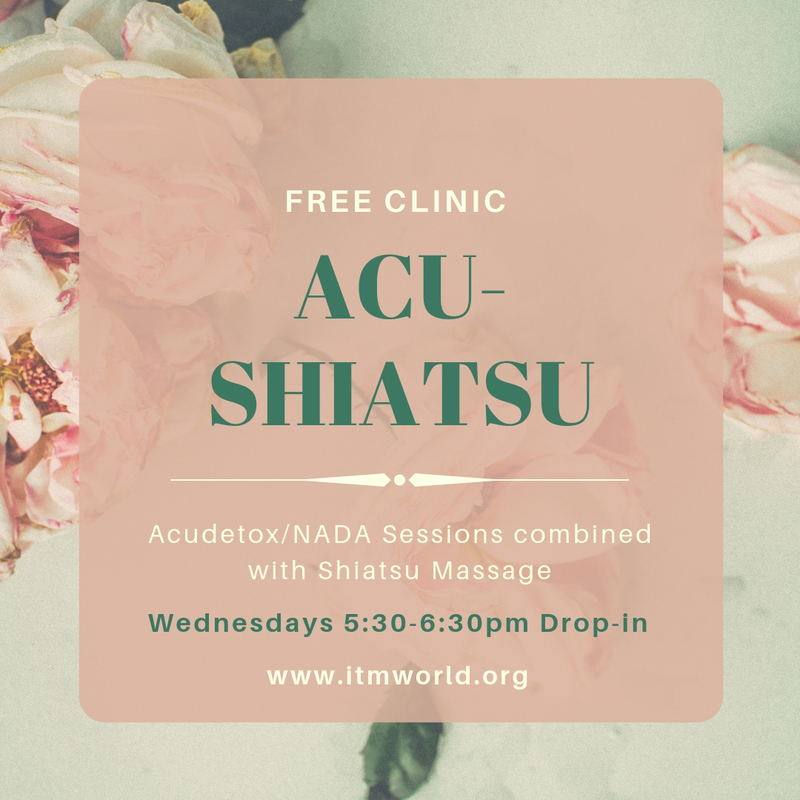 The acuShiatsu protocol is helpful in supporting the challenges of emotional and mental health, addictions, anxiety, stress, emotional trauma, craving, mental illness and/or PTSD. All the five points acupunctured in combination with the acupoints massaged serve to balance the body's energy and assist the body's healing processes. Shiatsu, together with the combined effects of the five-point protocol, is referred to in Chinese Medicine as a yin tonification. It restores the calm inner qualities akin to serenity. In general, needling the Sympathetic and Shen Men points produces calming, relaxing and centering effects. The other three points, Kidney, Liver and Lung, correspond to yin organ systems in Chinese medicine. The yin organs are seen as internal, nourishing, nurturing, restorative and supportive. They store the vital substances such as energy and essence. In modern Western medicine, kidney, liver and lung relate to detoxification and cleansing (the organs of elimination). Participants have an opportunity to experience their internal process as a source of strength and renewal.